The ‘Thornhill Collective’ group commissioned Dress for the Weather in collaboration with business consultants Alison Fullerton and David Cook to provide a feasibility study and community engagement with the intent to reimagine the Old School building in the town as a community and work space. 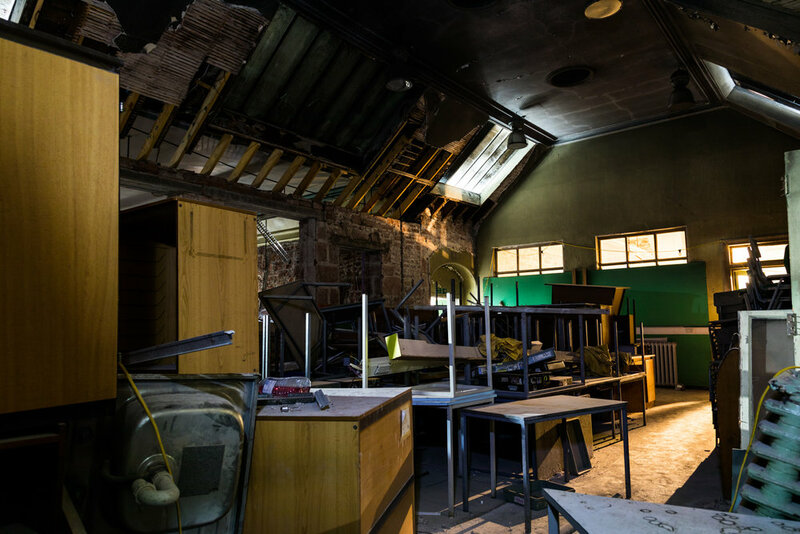 The Grade B listed building has been vacant for a number of years but the derelict interior still has many features from its former use as a school. Bold pastel and primary colour painted woodwork, school furniture, coat hooks and school equipment were all found inside. Other features such as the stone carving over the ‘Boys’ and ‘Girls’ entrances held a sentimental value for many in the town and our proposals aimed to enhance these nostalgic ties for people who had attended or known the school. We made a number of walks through the town and made a resource map of formal and informal community spaces and work spaces that informed the study. 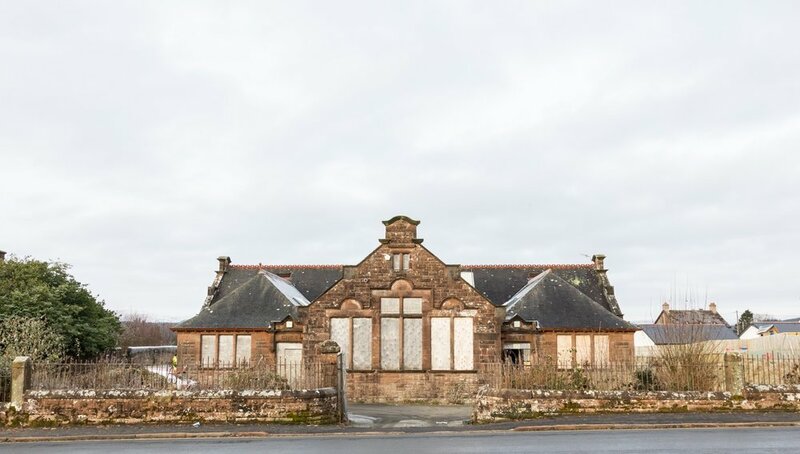 Our research also focussed strongly on the physical context of the school itself, studying its inherent qualities as a school building and finding opportunity with these to suggest new function. This resulted in a number of plan diagrams prompting discussion on adjacencies, security, management and loud/quiet spaces. 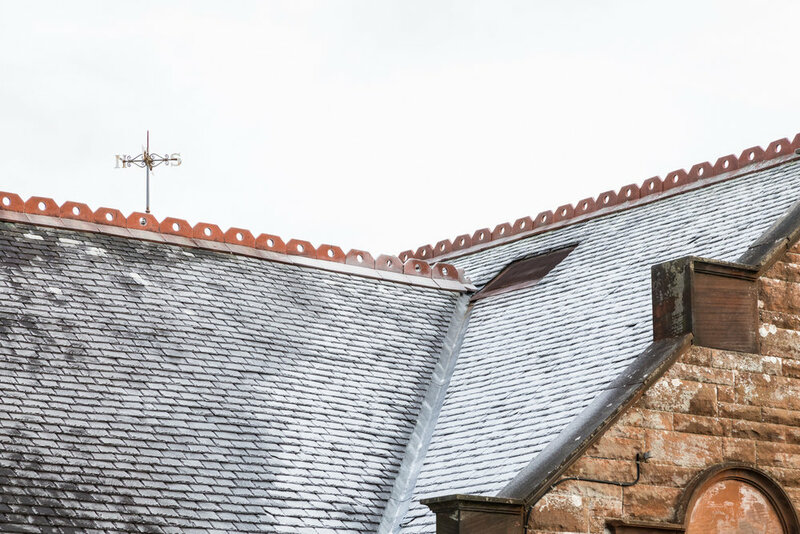 The repair and restoration of the historic fabric was also important and our design approach and energy strategy worked with the heritage consultants, Adams Napier Partnership, condition survey to find opportunity for low carbon solutions. The work also suggested a balance between restoration of historic detail and the as found condition of stripped back stone and brick walls as well the detail and ironmongery of the interior.